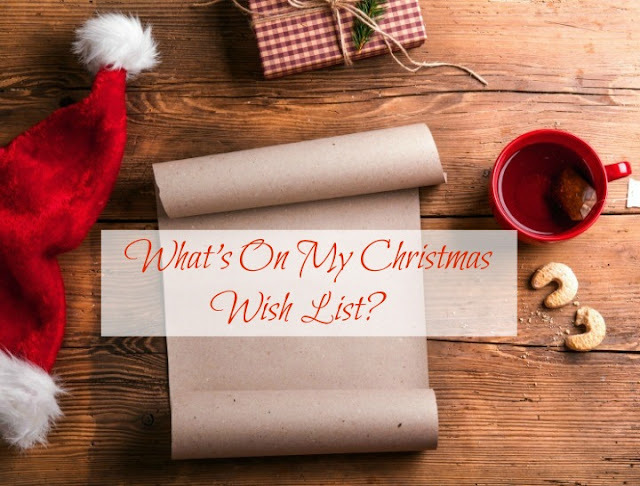 Once you become a parent it's fair to say that the majority of your focus is firmly on what the children will be receiving when Christmas morning rolls around, I'm sure I'm not the only mum who barely thinks twice about what gifts she would like to receive! Infact I usually find myself feeling a bit flummoxed these days when my partner or mum ask what I'd like for Christmas - maybe it's just baby brain but I feel like I've kind of forgotten what sorts of things I like lately?! With that in mind, I thought that tonight I'd sit down and really think about it and put together a sort of Christmas Wish List. The problem with me is - my tastes have changed a lot in recent years. Whereas once I just wanted to receive a load of "stuff" to unwrap and get excited about at Christmas, these days I want everything to be minimal as I just don't have the space to store things or the time or energy to find homes for things I won't actually use! I often find myself on the receiving end of a lot of gift sets - now I love perfumes and bubble baths but I have to admit, I never use anything else that's included in these sets - I hate things like body lotions, body butters, exfoliating scrubs, deep conditioning treatments and so on - I just never ever use them and so they end up shoved in a box under my bed where they will likely stay either for all eternity or until they find their way to a charity shop or car boot sale! So this Christmas, I'd really love to get gifts that I will actually use from day to day rather than just more things to find storage for. Personally I can't get enough of pyjamas! If every single person I know bought me nothing but pyjamas for every Christmas and Birthday, I'd never get tired of receiving them! As soon as I come home, I want out of my clothes and in to my pyjamas no matter what time of day or night it is and so I just can't own enough pairs! To me...they are the ideal gift and I get SO excited to get new ones! Slippers I obviously need less of but they tend not to be something I buy for myself, so I look forward to getting a new snuggly new pair for Christmas! I just hope someone buys me some this year! Likewise, cute socks are always a welcome gift! I do love getting homey bits and pieces as gifts these days, but I kind of don't need any more photo frames or ornaments and trinkets at the moment - however one thing I just can't get enough of is scented candles! I LOVE them! I have them in pretty much every room and light them every day, so I need a constant supply! Although I don't really like to receive gift sets and smellies because they so often contain items I won't use, I DO feel very spoiled and pampered when I receive a new perfume! I'm not too fussy when it comes to perfumes, I like most of the main brands - my favourites are Angel by Thierry Mugler and Daisy by Marc Jacobs but any perfumes are welcome gifts, the prettier the bottle the better! I used to have a real love of stationery and pretty writing sets when I did penpalling as a hobby, but now that I no longer do I don't really have a need for stationery anymore - however I do tend to use a lot of notebooks for blog organisation and jotting down lists and ideas, so pretty and unusual notebooks are a great gift idea for me! There's always those things you need around the house but never get around to actually buying, and for me...that's towels! We make do with the ones we've got but I'd love to throw them out and get new, fluffy ones for the bathroom - I'm also in desperate need of some new tea towels for the kitchen but I just keep forgetting to buy any - those would be great gifts for me! So there you have it - my list doesn't have any jewellery (I don't wear it much so its wasted on me! ), watches (I don't wear them! ), expensive make up (I'm too fussy with what I like), designer clothes (I don't need any...especially not in the last stage of pregnancy! ), designer handbags (Where do I go to use them?!) or fancy expensive things but these are the things I would much rather receive this Christmas - a new Camera lens would be appreciated too of course, but other than that I like to keep it simple! What's on your Christmas wish list this year? Is it more exciting than mine? !